Editor’s note: The following is derived from Michael Tougias and Casey Sherman’s research for their upcoming book “The Finest Hours: The True Story of the U.S. Coast Guard’s Most Daring Sea Rescue,”($25 hardcover, Scribner) available in June. 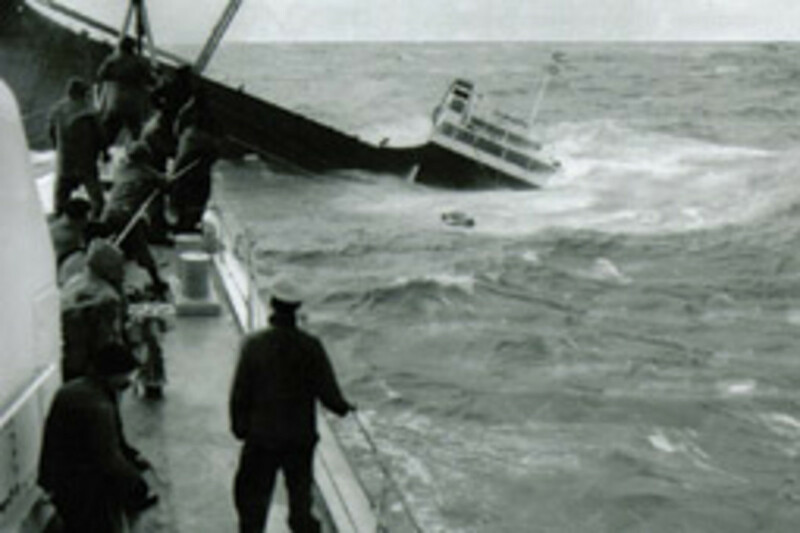 The book describes the rescue of four men by the crew of the Coast Guard cutter Yakutat after the tanker Fort Mercer cracked and began to sink off Cape Cod in February 1952. Five Mercer crewmembers died. 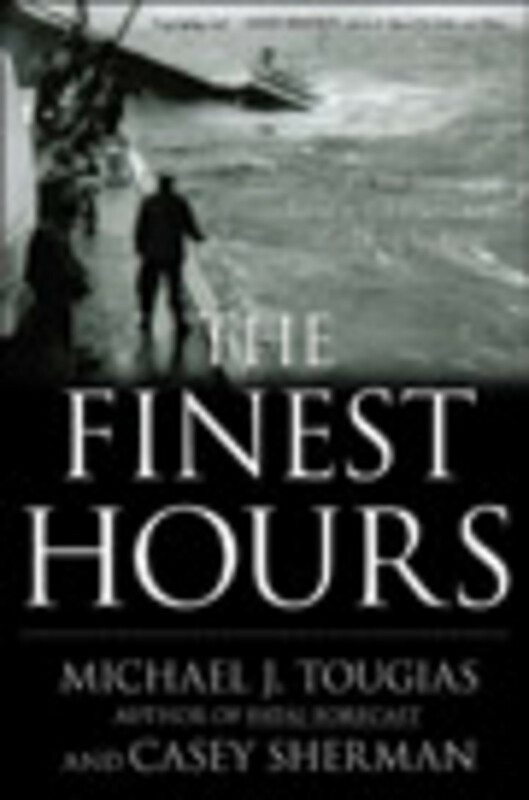 “The Finest Hours” is available for purchase at Amazon.com. Capt. 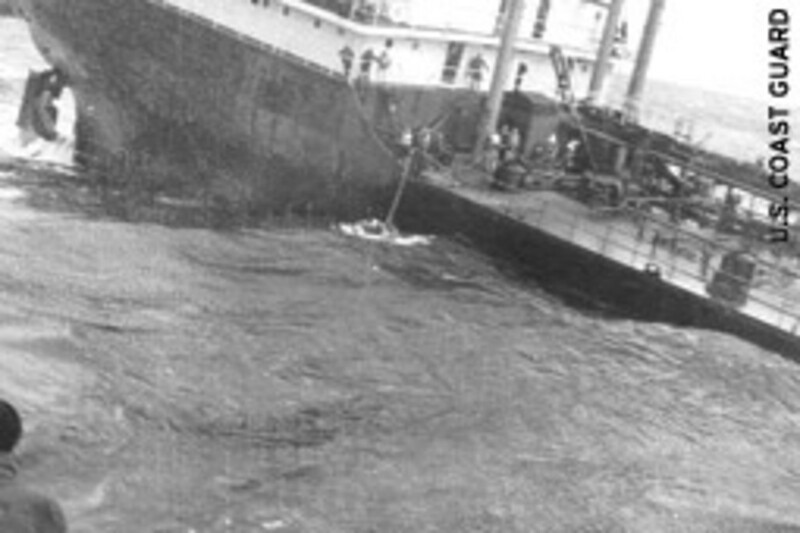 Frederick Paetzel was not taking any chances with the storm that had overtaken his 503-foot oil tanker, Fort Mercer. Paetzel kept Mercer’s bow pointed into the rising seas, holding position, prepared to ride out the storm. The captain had guided the ship safely since leaving Norco, La., and now — just 30 miles southeast of Chatham, Mass. — he wasn’t too far from his final destination of Portland, Maine. He was delayed by the storm, but rough seas in the North Atlantic in February were not unexpected, and Paetzel bided his time until the storm blew itself out. The nor’easter, however, showed no signs of weakening, but instead intensified with each passing hour. By the time a pale hint of light indicated dawn’s arrival, mountainous waves had grown to 50 and 60 feet, and the wind approached hurricane strength, hurling a freezing mix of sleet and snow at the vessel. The Mercer took a terrible pounding, yet rode the seas as well as could be expected, without any excess pitching or rolling. Then, at 8 a.m., Paetzel heard a sharp crack echo from the innards of his ship. He wasn’t immediately sure what had happened, but soon the captain, along with several crewmembers, saw oil spewing over the ocean from the starboard side of Mercer, and they knew Mercer’s hull had cracked. 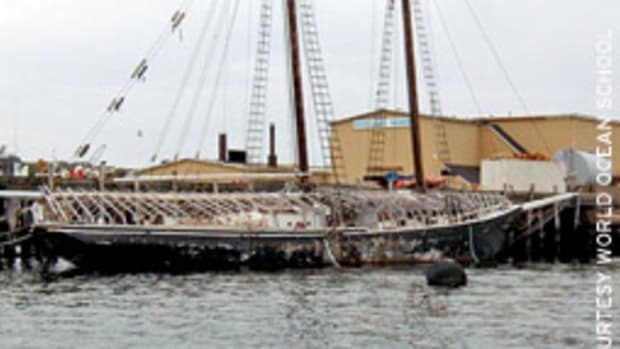 The 48-year-old captain immediately slowed the vessel’s speed by a third and positioned the ship so the waves were on the port bow to keep the fracture from growing. After Paetzel alerted the rest of his crew about the emergency, he radioed the Coast Guard for assistance, reporting that his ship’s seams had opened up in the vicinity of the No. 5 cargo tank and its load of fuel was bleeding into the sea. Then Paetzel and his crew of 42 men prayed that the ship stayed together until Coast Guard cutters arrived. The German-born captain had been at sea since he was 14, but he’d never seen a storm like the one he was caught in, nor had he ever heard the sickening crack of metal giving way to the sea. Another Coast Guard vessel, Unimak, which was also south of Nantucket, was diverted from that search and started pounding its way through the storm toward the Mercer. In Provincetown, Mass., the cutter Yakutat was dispatched to the scene, as was the McCullough out of Boston. Aboard the Fort Mercer, Paetzel tensed up each time a particularly large wind-whipped wave hit the vessel. Oil continued to stain the ocean, and the ship’s quartermaster did his best to keep the bow into the oncoming seas. Paetzel had the crew don life vests, but beyond that safety measure, the crew could do little but wait for the Coast Guard to arrive. While Paetzel may have felt Mercer was not in immediate jeopardy, he also knew the history of the partly prefabricated and welded T-2 tankers, and that knowledge was not comforting. To date, eight of the tankers had been lost because of hull fractures, and they were particularly susceptible to cracking when large seas were accompanied by cold temperatures — the exact situation Mercer was now enduring. The captain would breathe easier when the Coast Guard cutters were within sight. Suddenly, at 10:30 a.m., another terrifying crack rang out, and the ship lurched. Paetzel instantly sent another message to the Coast Guard explaining the situation was worsening. A cold sensation of dread coursed through the captain; he knew his ship might become the ninth T-2 tanker to be taken by the sea. A couple minutes later, a wave smashed the tanker so hard crewmen were thrown to the deck. When they got to their feet they could not believe what they saw; the vessel had split in two. Paetzel was trapped on the bow with eight other men, while the stern held 34 crewmembers, and each end was drifting away from the other. Seas tossed the bow wildly about as if it were little more than a broken toy, first swinging sharply to starboard. The forward end of the bow rode high in the air, but the aft section sloped down to the sea, submerging a portion of the deck and washing away the lifeboats. Equally as devastating, the accident had knocked out the radio. Paetzel and his men were helplessly trapped in the bridge — to leave might mean instant death. The bow wallowed in the monstrous seas, and without engine power it was broadside to the waves, taking direct hits. The stern section, where the engine was located, was in much better shape, and all of it was above the seas. Right after the split, engineers immediately shut the engine down, but now the crew on the stern could see waves pushing the bow back toward them like a battering ram. Miraculously, the engineers were able to restart the engine. They put the propeller in reverse and were able to back the stern away before the bow ran them down. Through the long afternoon, Paetzel and the men trapped in the bow huddled in the unheated chart room. Just after nightfall, Yakatat, dispatched from Provincetown, Mass., arrived at the scene. The waves were too large for her to pull alongside the bow for a rescue, and the cutter hovered nearby, waiting for the wind and waves to ease. Paetzel and crew, however, were becoming desperate. The front of the bow section was sticking completely out the water, but the aft section, where Paetzel and crew were trapped in the chart room, was sinking lower into the sea. Just before midnight they decided to try to move from the chart room to the forecastle room, where they hoped to escape the rising water and find signaling equipment. 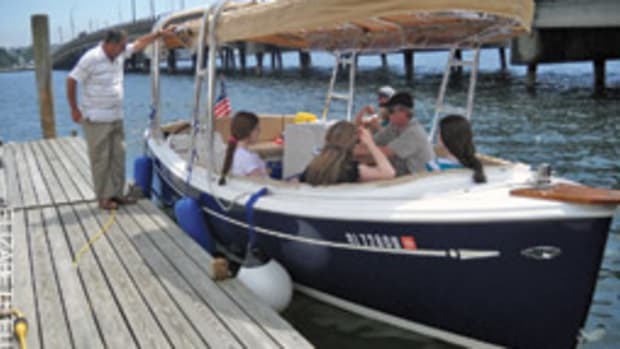 To do so, however, first meant somehow lowering themselves out of the chart room and onto the exposed deck that was awash with spray, snow, and sometimes the sea itself. The door from the chart room to the deck was too close to the sinking end of the hull, and the drop from a porthole to the deck was too great to risk jumping. And so the crew improvised, taking various signal flags and tying them together to create a line, which they lowered out the porthole on the forward side of the chart room. One by one, the men started out, first lowering themselves down the signal flag line, then taking the most harrowing footsteps of their lives as they headed forward on the upward sloping, icy catwalk. The ship pitched and rolled, and the men ran toward the forecastle as seething white water surged around their feet. Paetzel, who had been caught in his slippers when the tanker split, made the crossing barefoot. 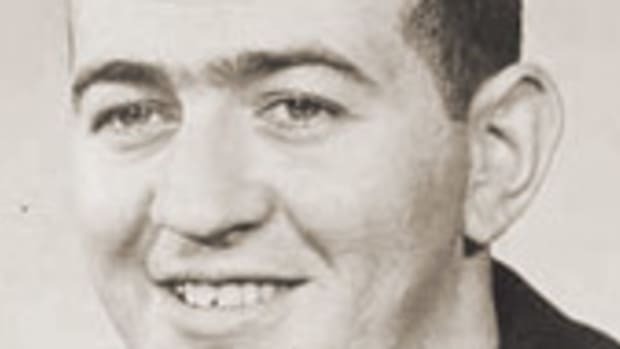 Radio operator John O’Reilly — who had transmitted the mayday earlier that morning — lost his footing and was swept overboard, disappearing into the churning abyss. Capt. Naab, on Yakutat, had seen the men run across the catwalk, and he decided he had better make an attempt to get them off. He maneuvered the cutter windward of the tanker. His men then tied several life rafts in a row, dropped them overboard, and let the wind carry them toward the tanker. Lights and life jackets were attached to each of the life rafts. On Mercer’s bow, the survivors watched the rafts come toward them. It was decision time, and what an awful decision it was. Each man had to make a choice in the next minute that might mean the difference between life and death. There was no one to give them guidance, assurance or even the odds they faced, because no one on earth knew what would happen next. If they stayed with the fractured ship, they risked the chance that she might roll over at any moment, taking them down with her, trapping them in freezing black water below. But to jump from the ship held its own perils, not the least of which was the possibility they would not land inside the raft. And, if that happened, they simply didn’t know what the ocean would do to them. Maybe they would have the strength to swim to the raft and haul themselves up and in, or maybe the frigid seas would so weaken them that they would never even make it to the side of the raft, let alone climb aboard. Three crewmembers crawled to the side of the deck and, one by one, threw themselves overboard and down toward the rafts. All three missed. The shock of the freezing water made swimming nearly impossible and, although they tried to get to the rafts, the mountainous seas buried them and they disappeared from view. 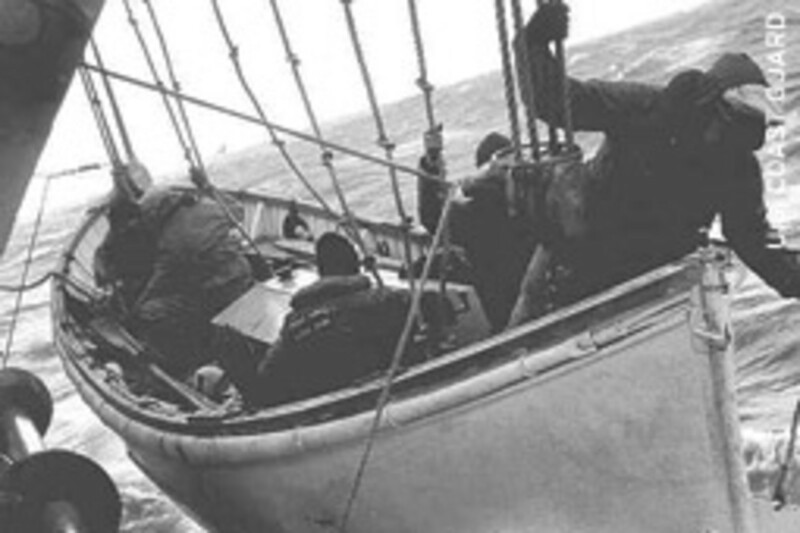 Aboard Yakutat, Naab watched in horror as the seas swallowed the men. 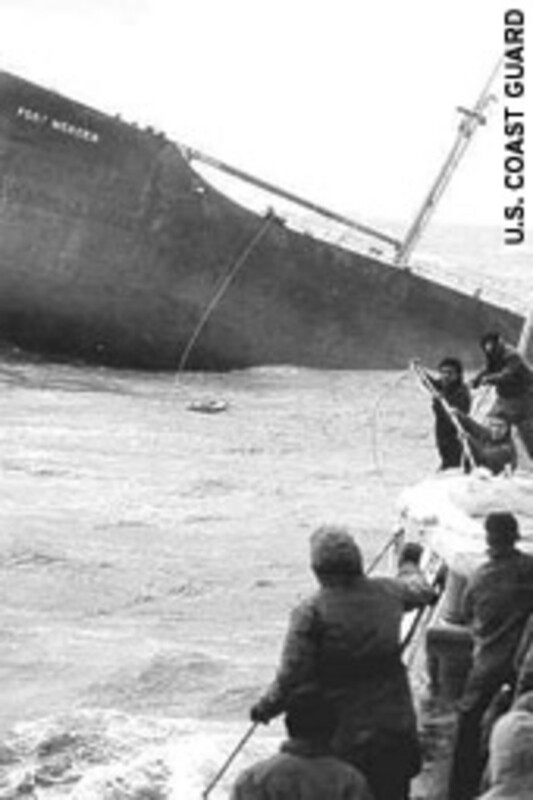 One of the crewmen still aboard the Mercer, Jerome Higgins, saw how close the Yakutat was and made a fatal choice. 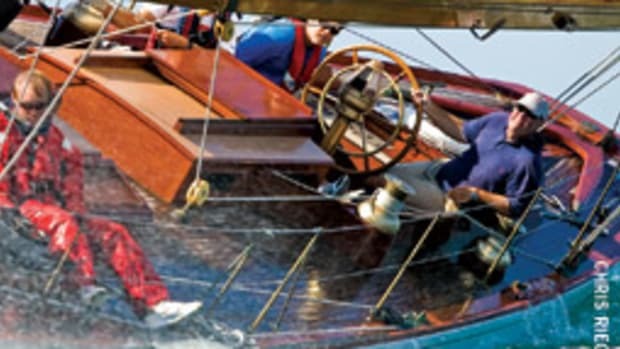 He leaped over the rail, hit the water and tried to swim to the cutter. In the howling darkness the seas swept him away like so much flotsam, and, in a flash, he was gone. Naab, not wanting to witness anymore drowning, backed the cutter away, and lay off, now knowing a nighttime rescue attempt would be suicidal for the tanker crew, and he decided the best option was to wait for dawn. The decision proved to be the correct one, because the next day all four remaining survivors were dramatically rescued by the Yakatat’s small motor life boats and more rafts. Just minutes after the last survivor was safely hauled aboard the cutter, Fort Mercer’s bow reared up in the air, crashed backward and sank. 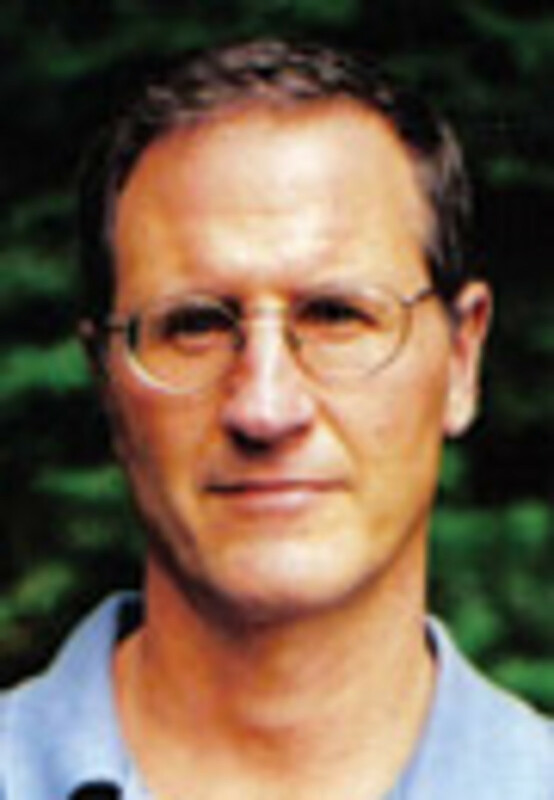 Michael Tougias is the author of “Fatal Forecast” and “Ten Hours Until Dawn.” He lives in Massachusetts. Casey Sherman, is the author of “Black Irish” and “A Rose For Mary.” Tougais will be speaking about “Final Hours” July 14 in West Boylston, Mass., and July 31 in Nantucket, Mass. For information, visit www.michaeltougias.com. 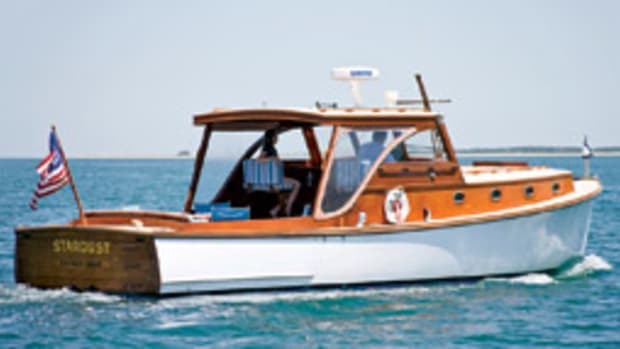 This article originally appeared in the New England Home Waters Section of the June 2009 issue.